Royal Caribbean has posted a new teaser hinting at an announcement coming next week. 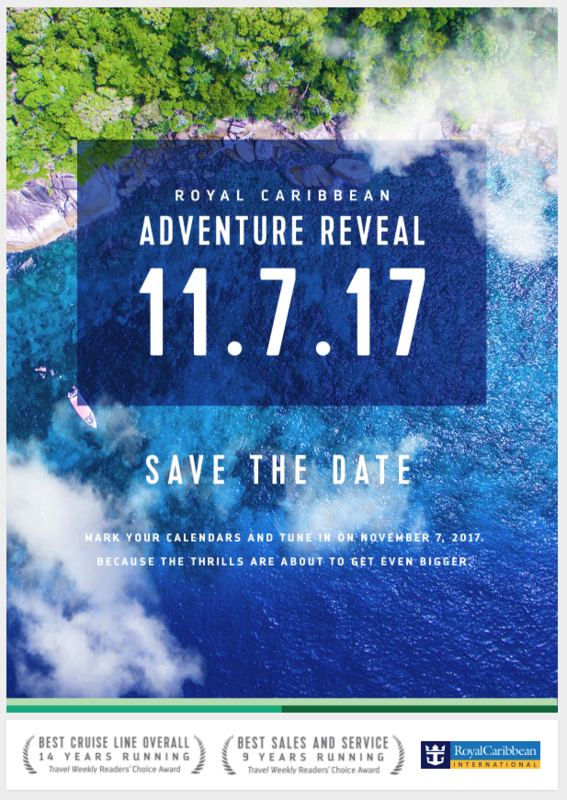 Royal Caribbean alerted travel agents to the news that will be announced next Tuesday, with simply the tag line of, "Mark your calendars and tune in on November 7, 2017! The Thrills are about to get even bigger." The teaser image does not have a cruise ship in it, just land (although there is a beached boat on the left side). The image file is named 17059107_Deployment_Tease_1024x640.jpg. The word "thrills" is prominently mentioned. What do you think this announcement will be about? Share your ideas in the comments!